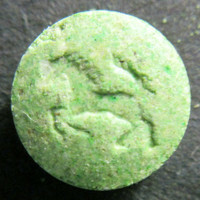 Round green tablet with horse imprint on front and reverse. No break line. 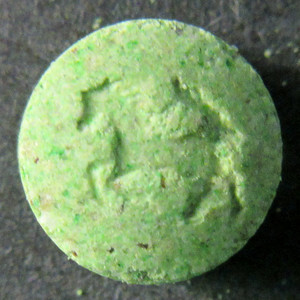 Sender comment: 'EZTest reagent turned purple/black, though actual experience [was] not as expected'.